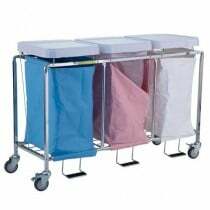 Choosing the right Hospital Linen Carts and medical hamper stands for your medical facility can help make daily tasks and routines easier for medical professionals. 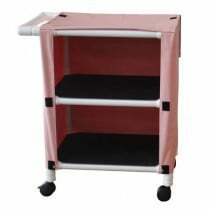 These "vehicles" are designed for storing and transporting linens and textiles. 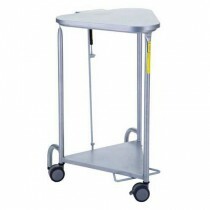 Linen carts are an important part of how a medical facility runs on a daily basis. 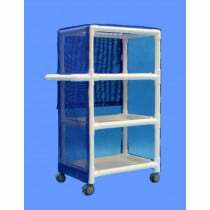 They are designed to help move certain items from place to place in a hassle free manner. 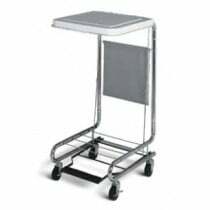 There are a wide variety of types, shapes, and sizes to provide maximum convenience, which can save you and your staff valuable time and energy. 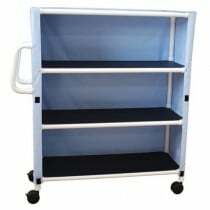 When choosing a cart, you'll need to consider the wheel power, durability, shelving, and if it can accommodate maximum linens as well as necessary accessories and tools. 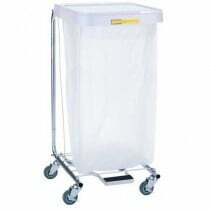 Linen carts are available in a variety of sizes and materials. 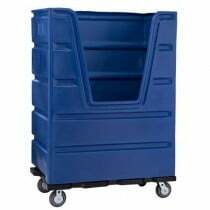 Larger/bulk carts are generally made out of durable steel or thick plastic. 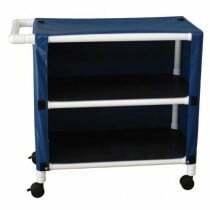 Smaller hampers will most likely be made out of lightweight plastic or PVC pipe. 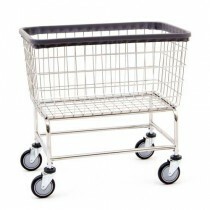 What are the Different Types of Linen Carts & Hampers? 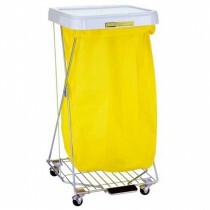 This type of mobile hamper allows you to transport bulk amounts of textiles. 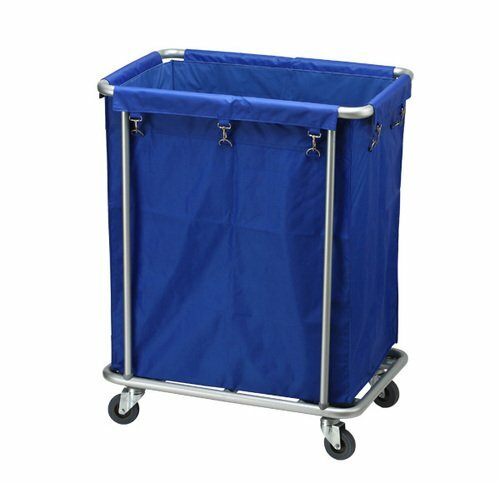 This cart is great for larger facilities that rotate linens and textiles in large quantities and on a daily basis, such as clinics, hotels, and gyms. 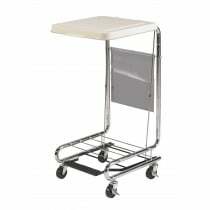 They allow you to transport bulk amounts with ease and convenience. 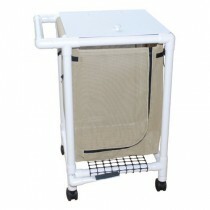 This type of laundry trolley is perfect for facilities that feature separate/individual rooms, such as nursing homes and rehabilitation centers. 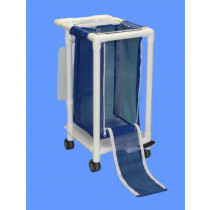 They fit easily within the room and allow caretakers to easily care for linens and textiles in a convenient and safe way. 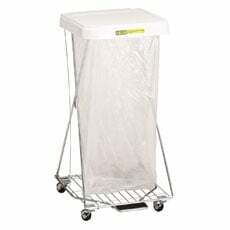 With all hampers, keeping the liner clean is just as an important part to prevent contamination as it is to maintain and clean the linens. Liners can easily be washed using a mild detergent, such as the Bon Vital Fresh & Clean Laundry Detergent. 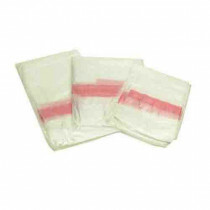 Disposable liners are also a great option, they are designed for single use and can be disposed of when the time comes to wash the contents of the bag. 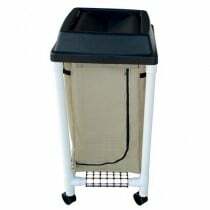 Water Soluble Liners are also available, which dissolve during the washing process. 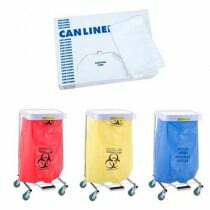 Carrying clean or soiled textiles against a uniform and reducing the risk of transferring bacteria from the uniform to the textiles. Carrying clean or soiled underneath the arm, this can transfer bacteria from the body to the textiles and vise versa. Avoid storing or staging clean textiles on surfaces that do not get regular cleaning and may contain contaminants, such as closets and shelving.